Soil teems with microorganisms, both harmful and beneficial, waiting for a host. “It’s a jungle in there,” says R. James Cook about the soil around roots. That jungle, crawling with pathogens, can cause any number of diseases that will affect wheat. “Root diseases were a big part of what we needed to deal with in order to achieve the full production capability of wheat,” says Cook, a former researcher with the U.S. Department of Agriculture Agricultural Research Service (USDA-ARS) at Washington State University. Beginning in 1965 and over the course of four decades with WSU and the USDA-ARS, Cook not only tackled his mission to control those root diseases with fervor, but he established one of the best research units in the world concentrating on soil health. Jim Cook spent decades in wheat fields to understand and manage root diseases. 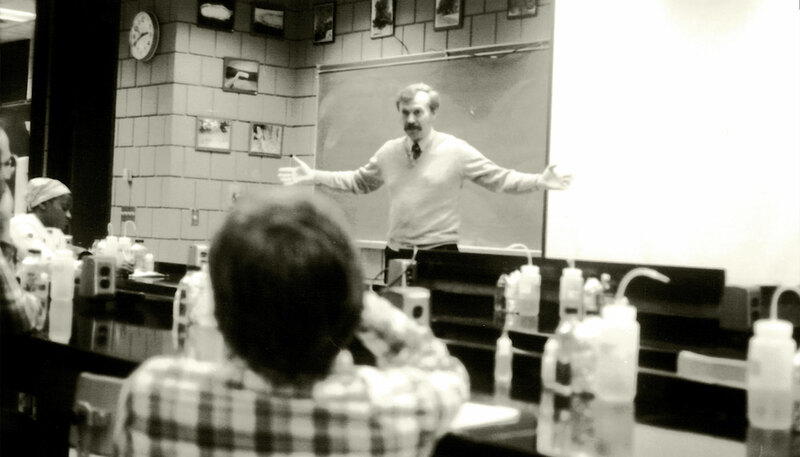 Cook’s interests led to graduate studies at North Dakota State, where he became the first student to get a graduate plant pathology degree there. Masters in hand, Cook went to the University of California, Berkeley for his doctorate, and it was there that soil really captured his curiosity. Berkeley in the early 1960s held a hub of scientists working on root diseases and biological control. Since soil-borne pathogens don’t have a cost-effective chemical solution, researchers began using the pathogens’ own microbial enemies to manage them on plant roots. Those helpful organisms then live on the roots where they make natural antibiotics or have other processes to provide a defense system against root diseases. Cook joined that research effort in its infancy and learned from top plant pathologists. That led to a postdoctoral fellowship in Adelaide, Australia, where the Cooks and their two young children lived for 14 months before receiving a USDA-ARS job offer in Pullman. Since the Palouse is prime wheat country, Cook recognized the potential for research collaboration on soil health and root diseases, and took the job at Washington State. In 1965, when Cook joined about 25 other USDA-ARS scientists at WSU, C. Clement French was president and WSU only had around 15,000 students. Cook moved into Johnson Hall and set right to work on his mission. Cook consciously uses the word “mission” to describe the work of USDA-ARS scientists. They hold appointments with the University, but their work has a defined focus. Those root diseases and soil-borne pathogens, and their control with beneficial organisms, weren’t very well-known when Cook began his work at Washington State on maladies such as Fusarium root and crown rot, and take-all. “Take-all is caused by a fungus that lives in the roots of the crop just harvested, and grows from those decaying roots onto the fresh roots of the new crop to rot them off and cause wheat to die in big patches,” says Cook. In 1971, a number of bags of diseased wheat roots from the Puyallup research station, blackened from take-all, sat on the table in Cook’s lab. Except Cook immediately noticed four bags with healthy white roots. Cook knew of a European study that showed soil would become suppressive to take-all if you just kept growing wheat. “Just the opposite of what we would normally do,” notes Cook. He and his colleagues had raised wheat with take-all in Puyallup, but included some soil from a field near Quincy that had wheat growing consistently for 12 years. That was the wheat with healthy white roots, confirming the soil was in take-all decline. Cook also busted a few myths. For 30 years, there was a belief that straw from wheat was toxic to wheat. “I had to deal with that diagnosis and it was well established in the scientific literature, but it was wrong,” he says. He proved through a series of experiments that the problem came from root diseases thriving under the wet blanket of straw on the soil surface. Cook’s research didn’t just stay in the lab. He cultivated strong relationships with wheat growers all across the region. “I got to know some really great farm families doing research in their backyard, where the problems were, rather than just bringing the problems to the lab at WSU,” he says. The farmers, in turn, respected Cook and his efforts. “I avoided telling farmers what to do, but rather, set about providing them with enough understanding so they would know what to do,” wrote Cook in his 2017 memoir, Untold Stories: Forty Years of Research on Root Diseases of Wheat. “Growers really appreciate good science, especially when it’s happening on their own farm,” he adds. John Aeschliman, who has a farm outside of Colfax, was one of those growers who developed a strong rapport with Cook. Cook himself served as a guide for many researchers and graduate students who came to both WSU and the USDA-ARS. 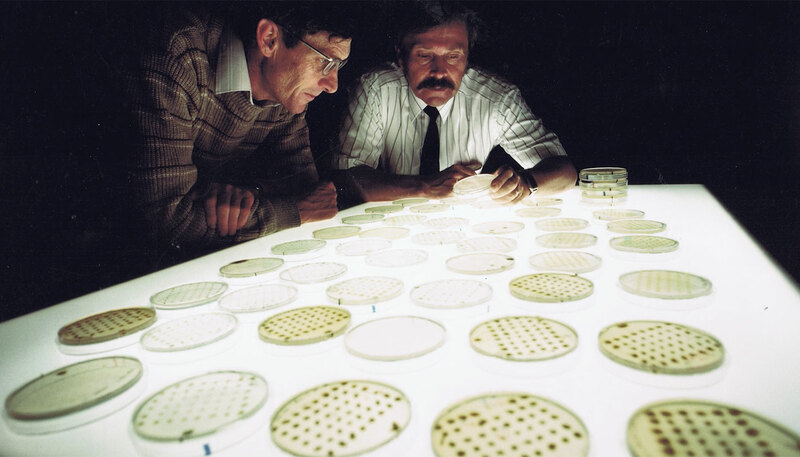 David Weller and Linda Thomashow were two scientists who joined Cook in the late 1970s to research root diseases like take-all and take-all suppressive soils at the University. “Jim was an incredible mentor to us, and his work on biological control was groundbreaking,” says Weller. Deb Inglis (’78 MS, ’82 PhD) also benefited from Cook’s guidance as a graduate student. Inglis was a farm girl herself near Spokane. “My grandfathers needed answers to real-life problems, since they both grew cereal crops. Jim, of course, worked on root diseases of cereals and he worked very closely with farmers. I really wanted to work with someone who could relate to farmers and who could help answer real-life issues and problems,” she says. Cook’s ability to be theoretical and practical at the same time came through to his graduate students, says Inglis. She later became director of the WSU Mount Vernon Research and Extension Center where she applied Cook’s teaching. “Hypothesis-driven research that is field based, observations that one sees in the field, and then solutions that are attempted to be found through laboratory, greenhouse, and sometimes field research, that’s a winning combination,” she says. East of the WSU Pullman campus, 160 acres of farmland continues Cook’s soil research. 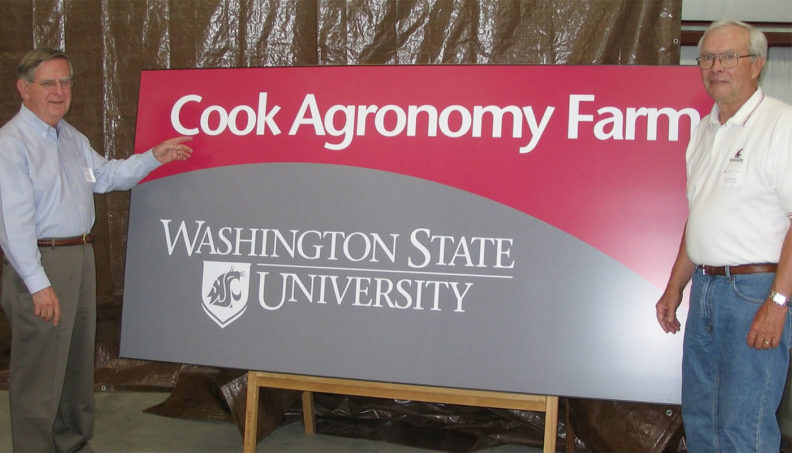 Renamed the R.J. Cook Agronomy Farm in 2006, it had begun six years prior as a place for Cook and his colleagues to test in a realistic setting. “Growers knew I did field research, but they said, ‘We want you to do research on a scale we can relate to, no more of those little plots,’” says Cook. That farm featured another area of Cook’s interest since the 1980s: direct seed, also called no-till farming. 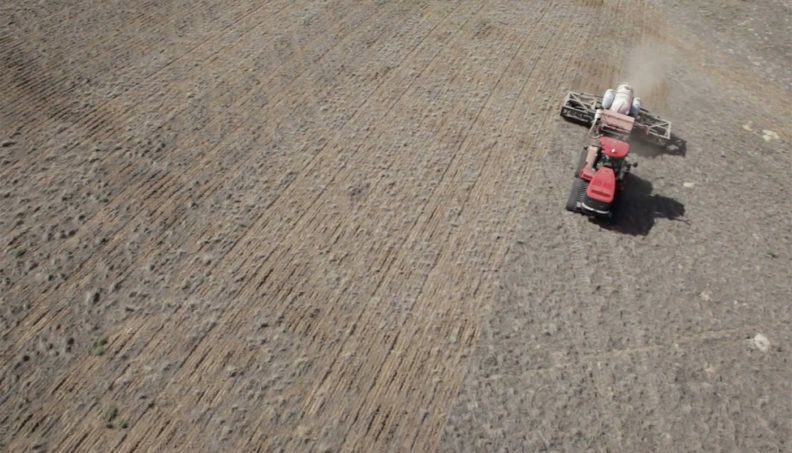 Direct seed methods use a drill to plant seeds and place fertilizer with minimal disturbance from tillage, thus reducing the risk of soil erosion. In addition to the research farm named after him, Cook garnered numerous prestigious honors—including the 2011 Wolf Prize for outstanding scientific contributions to agriculture, election to the National Academy of Sciences in 1993, president of both the American Phytopathological Society and the International Society for Plant Pathology, a founding member and past president of the Washington State Academy of Sciences, among others. Cook received WSU’s highest award, an honorary doctoral degree, last December, in recognition for his long service to the University and to the cause of healthier plants and soil. Cook’s direct impacts on crop productivity and disease management were recognized in 1998 by Washington wheat growers with a $1.5 million endowment to establish the R. James Cook Endowed Chair in Wheat Research. Cook served in his namesake endowed chair until 2003, which is now held by plant pathologist Scot Hulbert ’79. Cook became interim dean of the College of Agricultural, Human, and Natural Resource Sciences in 2003, until his retirement in 2005. Jim and Bev Cook now split their time between the Northwest and Palm Springs, California, as snowbirds. 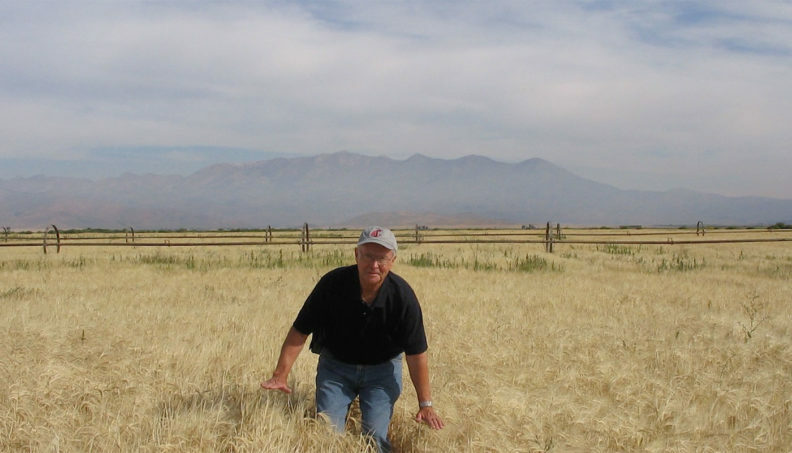 One is more likely to find a grapefruit than a stalk of wheat in Palm Springs, but Cook remains connected to WSU and his research interests. 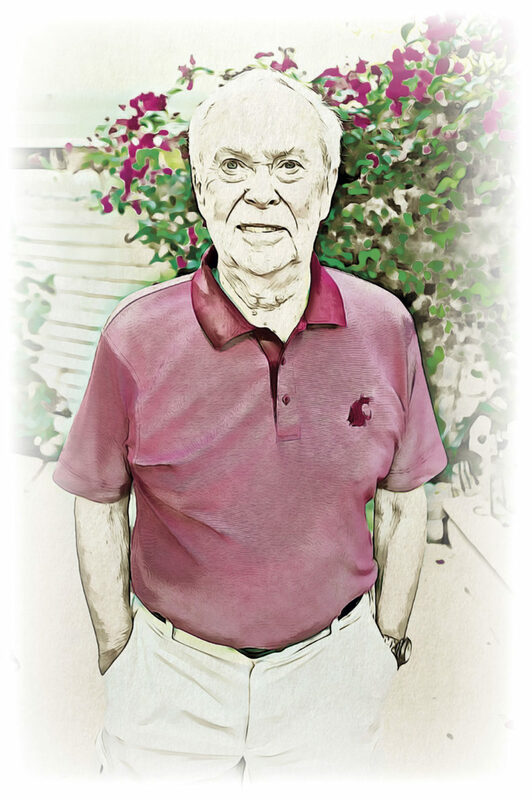 In his retirement, Cook presents at conferences, assists with National Academy of Sciences outreach, and, along with Bev, helps lead the “Cougars of the Desert” group in nearby Palm Desert, which raises money for WSU scholarships. Through it all, Cook was most proud that research colleagues and farmers saw him as having “two feet in the furrow,” which allowed him to accomplish his mission, communicate his work, and still satisfy his deep curiosity about root diseases and the jungle of soil life.